Snapchat is a relatively new social network. In fact, it is just an application for sharing photos and videos, which is focused mainly on the young generation. However, it has recently grown into an ideal social media marketing platform in plenty of sectors. Snapchat is suitable for a start-up business, huge construction company, a humanitarian service, a local clothing retailer, a hotel, or a barbershop. 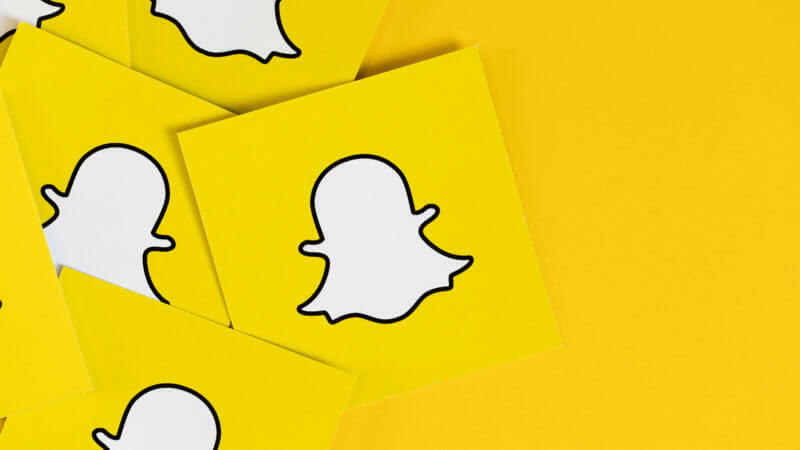 Presently, any company which desires to reach the Snapchat generation needs to find new ways to fit in this excellent platform into its digital marketing strategy. Snapchat alone daily exceeds more than 110 million active users. So, it has already turned into a comprehensive network to target potential customers. Moreover, Snapchat helps people (both your future and existing clients) to socialize with each other. The visual appeal of Snapchat contributes to increasing conversion rates significantly. Your video and photo content in Snapchat will be an influential marketing material for those clients who favor pictures to texts. Therefore, Snapchat has been turning into a valuable instrument for conversion rate tracking. Many companies are interested how to deal with this new opportunity to grow the brand and excite the audience. However, most businesses are not aware of how to start finally. Continue reading the article to know top 5 ways to excite the Snapchat generation about your brand. It is a perfect chance to give your customers a unique behind-the-scenes understanding. Presently, plenty of famous companies use this style to excite its customers. For example, if your business participates in some trade show, you can send various Snapchat updates of the process itself. The process can be something like you are setting up the booth, you are unpacking goods, you are talking to someone in charge, you are answering client`s questions, etc. All this will surely help you to humanize your company. McDonald`s and LeBron James actively use this tool to promote themselves by giving their followers an extensive behind-the-scenes experience. It always works! Millions of clients of numerous companies find it nearly impossible to decipher the brand from the people. So, you should use Snapchat to meet your customers with all individuals behind your business. It allows stripping off big names of companies, establishing real persons to the brands, and showing the humanity. This feature will help you to make more accessible and personified brand. Something that real people take care of every day. So, take either a photo or a video of your colleagues and workers and send them to this social media. Snapchat generation is always excited about real people who do their job daily. Snapchat application is a perfect tool to tell the story. To promote your brand wider, you should tell clients unforgettable, exciting, and meaningful fairy-tale about your business and people around it. The story itself should be nonstop so that your Snapchat clients always want to know more. To keep your followers excited, you should deliver the photo and video content in small portions regularly. Here you can also add various promotions and bonuses you offer to your clients. One of the best ways to excite the Snapchat generation about your brand is to promote and show “how to” classes. Clients always desire to get an in-depth look at how your products work. They need to have a better understanding how your goods or services are being made and operated. For instance, if you have a barbershop, you can create a particular class of how to grow the Salvador Dali mustache. If you deal with Web-design, develop long-term tutorials of how to design an ideal online shop. Tuko news website also uses this style to develop classes on editing and writing articles. It will be a perfect nonstop story allowing you publishing new photos daily, thus, warming up your Snapchat clients regularly. This content will be exclusive and impressive. Share promo codes and promotions actively. This tool always works. Give VIP access at your business`s promotions and events which they will never be able to visit in person. It is a priceless instrument to give a new life to traditional events. Engage your Snapchat followers in your brand`s content creation. Offer special prizes and gifts to first three users who take photos of your new shop. Demo your service or product. When you decide to release a new product, Snapchat will undoubtedly help you to become a guide for all new clients. Use this application to introduce something new to the marker. Amazon used Snapchat to demo its female-voiced Echo speaker Alexa. Collaborate with influencers. If the other company`s base of Snapchat followers is analogous to yours, share snaps that correspond your brand’s icon. Share special previews. Limit the audience you want to share content with. So, people will do the best to become one of the lucky ones. Acura successfully promoted its NSX using Snapchat. The car manufacturer sent a 6-second video preview of this luxury car to just 100 followers. How to use this features in the Snapchat marketing of your brand? Study your clients. When you know your audience, your business will flourish. It will be effortless to promote your product or service when you exactly know who your customers are and what they wish to have. It is particularly vital on Snapchat, where your business will just have a few seconds to impress a client. Share personified stories. Your brand must have a face. Young people adore personal stories. So, share personal photos of your business and you. Share unforgettable content. Remember! You will always have just 2-3 seconds to amaze your Snapchat client. So, your photos and video must be positive and exciting. Be genuine. Share the most important values of your company. Try to be as authentic as possible. Try to humanize your presence on Snapchat so that it will not look like total advertising. Be unique. Statistics show that Snapchat users adore various bonuses, promotions, exclusive offers, and coupons. This application is a perfect instrument to sell your exclusivity. Every time you make uniqueness of your proposal, you will have the best chances to gain the attention of Snapchat users. You have just discovered the best ways to use Snapchat application for your business. Snapchat is a powerful tool for your brand promotion. If used wisely, it will undoubtedly increase your brand visibility and boost loyalty significantly. Your clients who use this application to track your brand will return daily. Statistics will prove it. Hundreds of companies have already realized that Snapchat is a practical tool for digital marketing, which must be applied in any business to succeed in the new developing hi-tech age. And now – it is your turn! Catrin Cooper is professional blogger and freelance writer from New York. She sees her purpose in providing people with up-to-date info in spheres of marketing, self-development, and education. Apart from work, she adores traveling and yoga.